“This is happening . . . 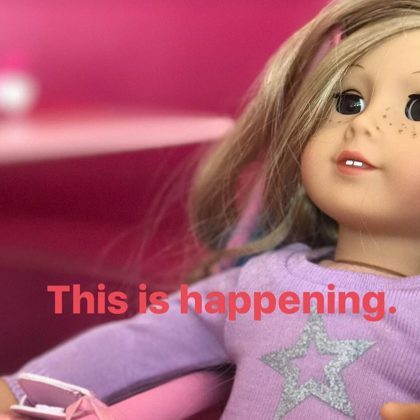 Drove 25 mins outside of Boston to have an American Doll lunch for her b-day” is what Busy Philipps said when she was at American Girl, Boston for daughter Birdie Silverstein’s 9th birthday in August 2017.